this event has come and gone. We will update this page with info about next year's Movies on the Beach and More as soon as we have it. 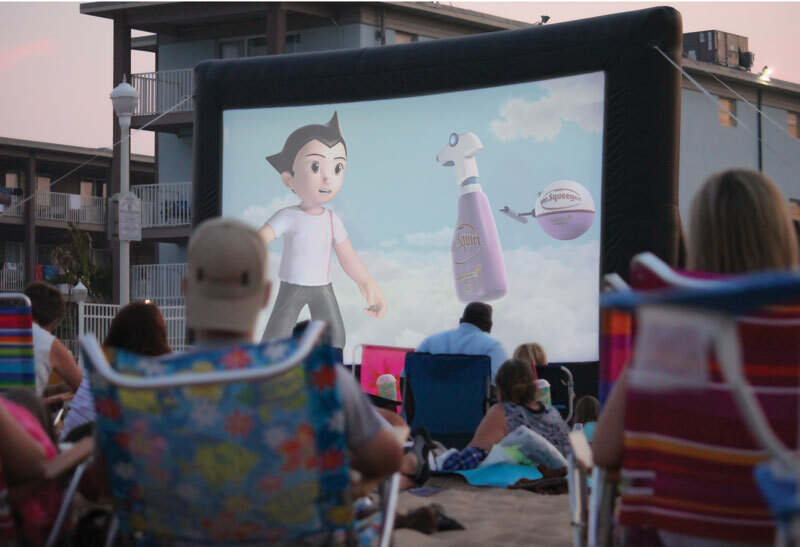 Free movies on the beach with games and activities for the whole family to enjoy. Remember the drive-in movies? Recall movies projected on the side of a living room wall or on a wobbly tripod screen? Replace those memories with the surf and salt air (and some more high-tech equipment), and you have a nostalgic, fun evening. Join in some games and activities at 7:30 pm. The family-oriented, full-length movie begins at approximately 8:30 pm. It happens each Monday AND Friday evening on the Beach at 27th St., weather permitting. Bring a blanket or chair. Please check back soon for a schedule. 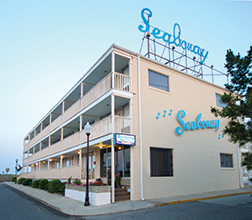 Ocean City’s greatest oceanfront value! One block north of the boardwalk & two steps from the beach.